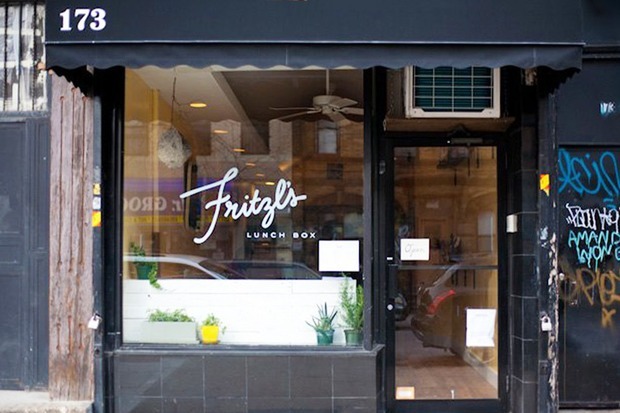 Bushwick burger joint Fritzl's Lunch Box is officially closing this Sunday, June 26th. "I'm not ruling anything out, but being a chef in a restaurant is a lot less appealing to me given the physical/psychological toll that Fritzl's has taken. Being a chef is just a lot less important to me now, especially since there are many more opportunities available in the food industry today (catering, delivery only "restaurants," pop-ups, etc). It would really have to be a perfect fit for me to consider running a restaurant kitchen again. I hope this doesn't sound too negative. The main thing for me now is family. I have a two-year old son that I don't get to spend enough time with. My wife works crazy hours, too. We've had 4 days off together the past 8 months and that really needs to change." After three years and "almost 40,000 burgers" the neighborhood will miss Fritzl's, but we can understand Ross-Leutwyler's desire to spend more time with his family. Make your way over to this Bushwick favorite before they close for good this Sunday. Cover image: Fritzl's Lunch Box. Photo by by Katarina Hybenova for Bushwick Daily.